Should You Manage Your Property On Your Own? 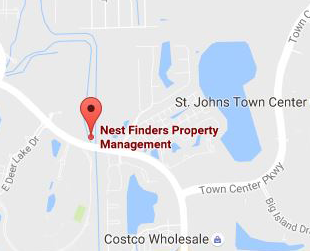 Nest Finders Property Management company is dedicated to providing quality rental homes, condos and apartment rentals in Jacksonville, FL and the surrounding areas. With our extensive local experience in the industry, and our strong relationships in our local communities, our home owners and landlords trust us to ensuring we can provide them quality tenants who will enjoy a new place to call home. Search our list of homes, condos, townhomes or apartments for rent and find the one that works best for you and your lifestyle needs. Are you looking to rent a new Apartment, Townhome, Condo, or single family home in the Greater Jacksonville, FL area? Browse through our available rental listings and learn more about the rental properties available to you. Once you’ve found a rental property you like, you can view pictures, floorplans and our comprehensive video tour and learn more about the home’s amenities. Our listings can also inform you about the apartment or condo availabilities, pricing, or specials that might be running. You can also request availability information and schedule a showing with one of our property managers. If you are not able to find what you are looking for contact us, our service is FREE for renters and we can help you find the perfect apartment, condo or home rental that suits your needs. Powered by ERM System INC.
Our Rental Search with Personal Specialist is FREE.